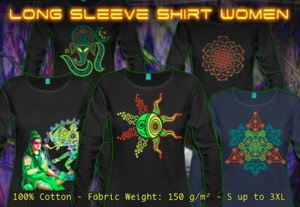 Women Long-Sleeve Shirts with Neon Color Print. The perfect longsleeve shirt for men. The smooth cotton fabrics are light, strong and cling comfortably to the body. Our longsleeves are produced fairly in Europe, and a DNA code on the tag let’s you track the chain of production.